Tenants of Prestige Pointe Apartments in Nashville were evicted after the property was sold to a new owner, but were granted more time after a meeting with the developers. Residents were granted an additional 60 days, as long their rent was currently paid in full. Yet, even though residents were given a two month extension, they were still forced to find another place to call home. Many weren't sure if they would be able to afford the high prices it costs to live in Nashville. "We're not bad people. We're current in our rent We pay $800 a month. We can't pay the thousands of dollars people want for their apartments now," said one tenant. Covenant Capital bought the Prestige Pointe Apartments, and changed the tenants yearly leases, to month-to-month leases. 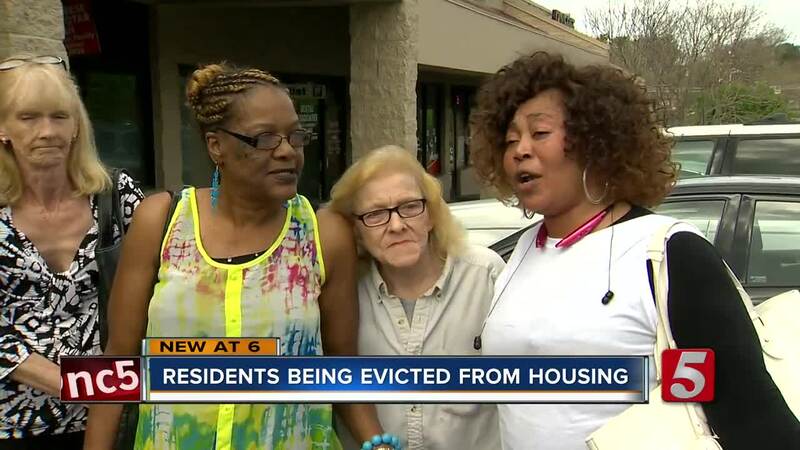 About one month ago, those residents received letters that they had 30 to 60 days to move out of the apartments, depending if they were Section 8 residents or not. Many residents were going to have to leave by this Friday. A representative with Homes 4 All Nashville, Council members Fabian Bedne, Jeremy Elrod, and Colby Sledge all stood behind the tenants of the Prestige Pointe apartments, and met with the owners of Covenant Capital this afternoon. As a result of that meeting, residents will not be kicked out this Friday, but will still be forced to find new homes. "They have 60 more days but that still means they have to find a place to go, and in Nashville with the current housing market there's almost nothing that's affordable anywhere close to the city," said Austin Sauerbrei with Homes 4 All Nashville. Many of the apartments that are affordable are already at capacity, and more and more landlords are deciding not to accept section 8 vouchers, and a lot of those people end up on a waiting list. Tenants planned another meeting Wednesday to compile a list of questions and concerns for the new management.